May 28, 2018 /0 Comments/in Acupuncture, General Health, Sleep /by Margaret Celli, L.Ac. If all goes well, most people should be spending approximately one-third of their lives asleep. Sleep is one of the most important things you can do to live your best life, but most of us aren’t sleeping as well as we could be. There are a variety of reasons that you might not be getting the best night’s sleep. Some of these are: not sleeping on the right kind of mattress, improper diet, or bodily pain. If you’re not sleeping well, you might be tempted to try prescription medications. However, there are other options you may want to consider. I’ve successfully treated many people with acupuncture for a wide range of issues, including insomnia. Not getting the proper sleep? Read about these 4 alternatives to treat insomnia. Not sleeping like a baby? Try acupuncture for insomnia! years in Chinese medicine. A study published in the 2013 Chinese Journal of Integrative Medicine found that four weeks of acupuncture can be an effective treatment to improve sleep quality for people with insomnia. Scientists tested acupuncture with meridian acupoints and three Anmian acupoints. It had the added benefit of bringing down levels of anxiety and stress. Acupuncture treats the root cause of insomnia by re-establishing the body’s equilibrium that disappears when you’re sleep deprived. Cognitive Behavioral Therapy helps you change the behaviors and thoughts that are causing you problems in different areas of life. 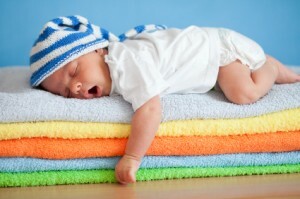 When it comes to sleep, people reported significant sleep improvements within six to eight weeks of starting therapy. CBT tends to work well in concert with other types of therapy, acupuncture, or medication. Cognitive Behavioral Therapy has a wide body of research that shows its successes over time. If you think this might work for you, talk to your doctor. Many people want to avoid prescription sleep aids. The good news is, there are also some natural supplements that you can try to get similar effects without making you feel groggy the next day. Herbs like valerian root and lavender have been found to have calming effects that can help if you’re having trouble getting your anxiety under control. When it comes to actually falling asleep, you can use a supplement like melatonin in pill form. Melatonin is a chemical that your body produces to tell itself it’s time to go to sleep, so using the pills to bring your sleep cycles back into order could be useful. Consult your doctor before using melatonin if you are on prescription medications. The practice of modern Yoga has been part of a spiritual tradition in India for more than 5,000 years. It migrated West in recent history and is great for your mental and physical health. Adding yoga to your daily routine helps more the longer you practice. Many people report waking up with less aches and pains, and decreased work stress. There are several styles of yoga and even one on one yoga therapy. Try a few different types and see which ones work for you.